I love seafood, but even landlubbers can find a great meal at the Cape May Buffet dinner at the Beach Club. While the exact offerings can vary by night, you can expect to find some traditional clam bake style seafood . . . including my favorite Crab Legs. There is a carving station, pasta, vegetables, cheeses, soups & salads, along with desserts. Some many great offerings that it is hard to pick just 1 favorite item here. This is one of the few all you care to eat buffets that does not include characters, so if you are looking for a filling meal without the characters this is a great choice for you. And I highly recommend it for all of my fellow seafood fanatics. Over at the Yacht Club a fairly recent renovation created a very cozy and modern Ale & Compass Lounge. The remodel also included a menu redo that now features several tasty eats. My favorite hear are the Hearth Oven Pies—sort of like a rustic pizza. You have two choices: Caramelized Leek & Chorizo or White Clam. Both great options to share with some drinks. 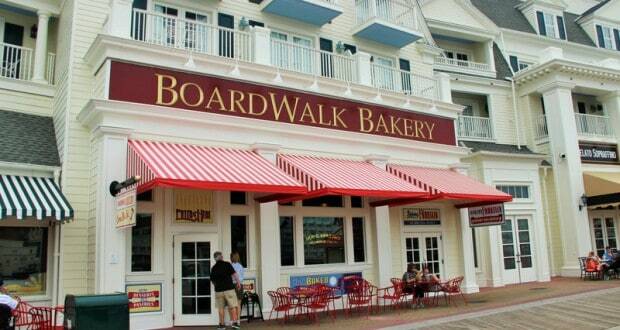 If you are looking for something a bit quicker, the Boardwalk Bakery offers some great sandwich options for Breakfast, Lunch, or Dinner. I love to get one and enjoy while people watching outside on a pretty day at the Boardwalk. My choice here is the “Roasty, Toasty Sandwich.” Not only do I love the name, the combination of ingredients is delish (& vegetarian): Ciabatta Bread with Arugula, Portobello Mushroom, Red Onion, Zucchini and Sweet Red Pepper Mayonnaise. Yum. 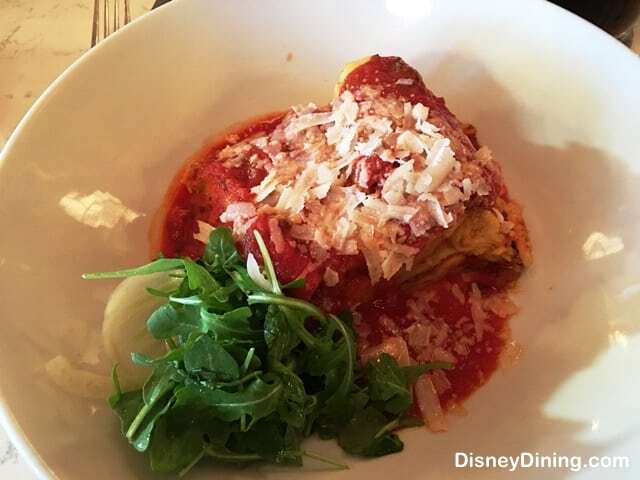 I love the rustic Italian elegance of Trattoria al Forno on the Boardwalk. They offer a lot of traditional Italian favorites and comfort foods. And I am always in for a good lasagna. The Lasagna al Forno here is delicious with a combination of braised beef and home cured pancetta for the meat, herbed ricotta cheese, and Sunday Gravy. My mouth is watering just thinking about it. If you didn’t get enough of dinner at Trattoria al Forno, I highly recommend the Bon Voyage Breakfast. It is one of the best character meals around both for interaction with the characters (usually Ariel, Price Eric, Rapunzel, and Flynn Ryder), but also for the delicious entrees. And here you order at your table and your food is delivered to you—so no hassle with going back and forth to a buffet. Following a frying pan of pastries and a started being brought to your table, you choose an entrée and I highly recommend the Royale Breakfast. This is an Oak Grilled Steak, Cheesy Egg Torte, Fondutta with Breakfast Potatoes and Crispy Onions. 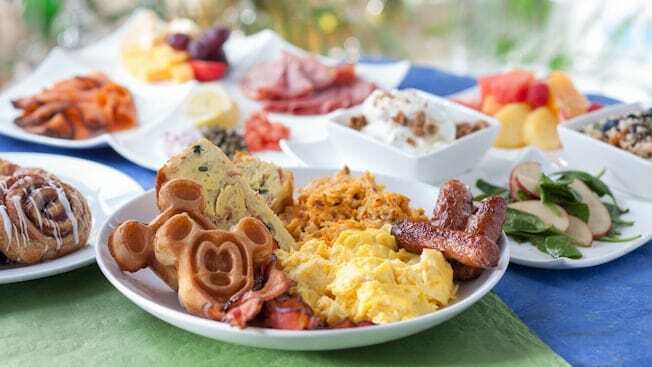 It is a breakfast of champions and sure to fuel you up for a day in the parks. When I had this meal it was delicious with the steak perfectly prepared along with all of the tasty accompaniments. 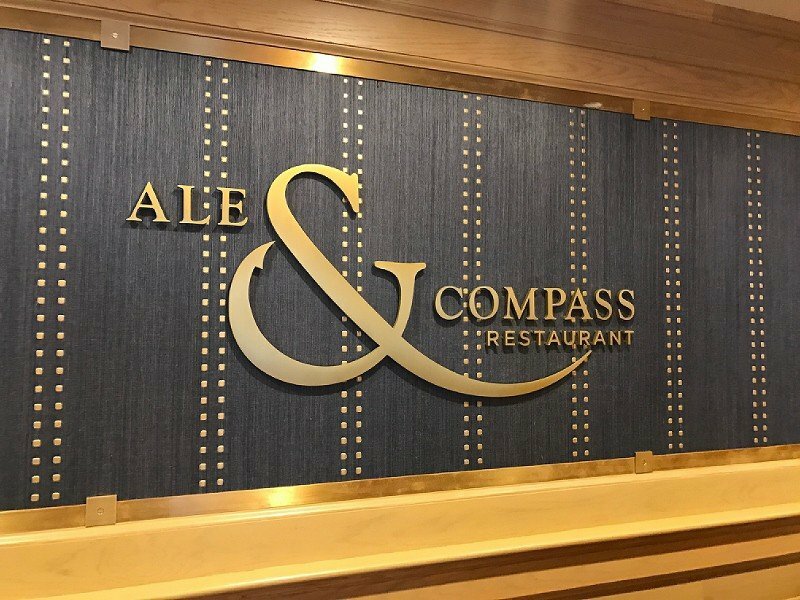 In the Yacht Club you will not only find the Ale & Compass Lounge, but also the restaurant. Renovations were done here too, complete with a great new menu. One of my favorite starters on the menu is the Parker House Rolls with Spreads. Disney does an amazing job with these bread services at multiple restaurants, and here you are served piping hot, fresh baked Parker House rolls with three spreads (which could vary): Bacon Jam, Pub Cheese, and Citrus Butter. Such a great way to start out a meal. It is hard to find a better steak anywhere at Walt Disney World than what they are serving up at the Yachtsman Steakhouse at the Yacht Club Resort. This signature restaurant is a great one to visit to celebrate a special occasion, or to satisfy your craving for red meat. I am a Ribeye girl, so this is my favorite cut and preparation at the Yachtsman (though you can’t go wrong with any cut of meat here). The 16 oz. Ribeye is served with Truffle Fries (yes, please) with a black garlic aioli and Blue Heaven Shallot Butter. I am so hungry now. 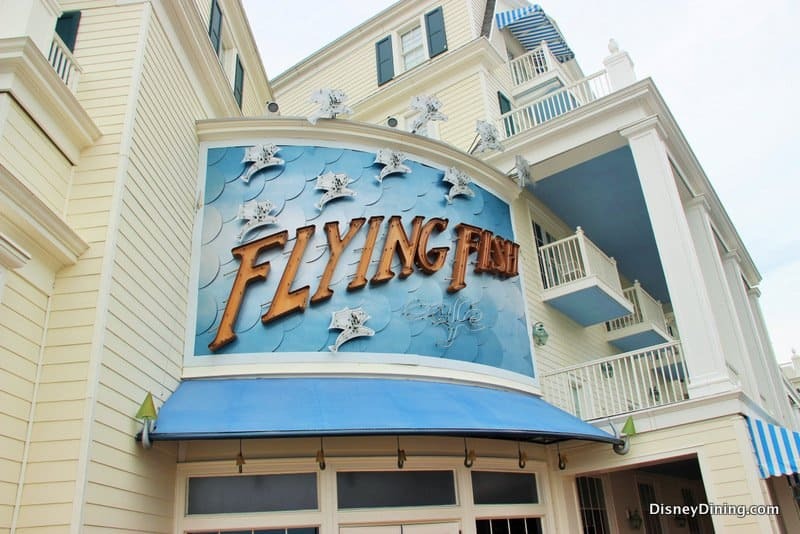 Another signature dining destination around Crescent Lake is Flying Fish at the Boardwalk. This restaurant has a refined atmosphere and specializes in uniquely prepared seafood dishes. I have a lot of menu favorites here, but the standout is the Sea Bass—which is a favorite fish in general, but they do such a wonderful job preparing the fresh fish here it sets off all of its wonderful flavors. The Sea Bass is served with a leek fondue and Cassis-Red Wine Reduction. Definitely a special dinner when you choose the Flying Fish. What are your favorite tastes around Crescent Lake?